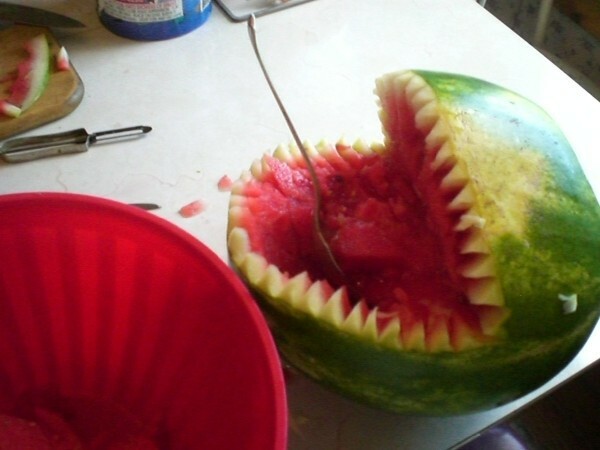 This is a guide about making a shark fruit bowl. 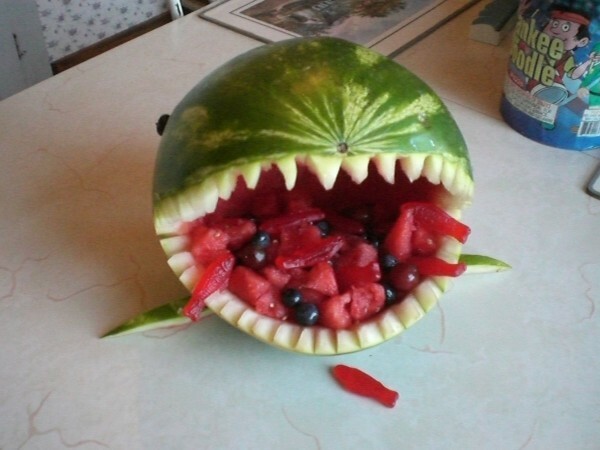 A fun themed serving container can be fashioned with a watermelon. 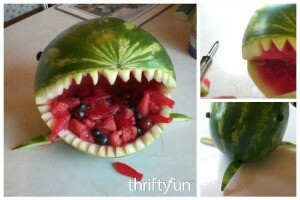 Fruit bowl for summer fun with the kids and adults alike. Source: saw it at another party! 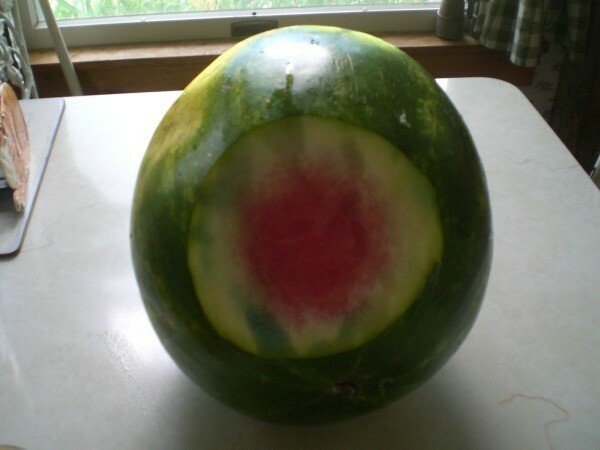 Carve out a wedge (the open mouth) from a side of the watermelon and use an apple peeler to remove the thin green skin along the carved wedge section. 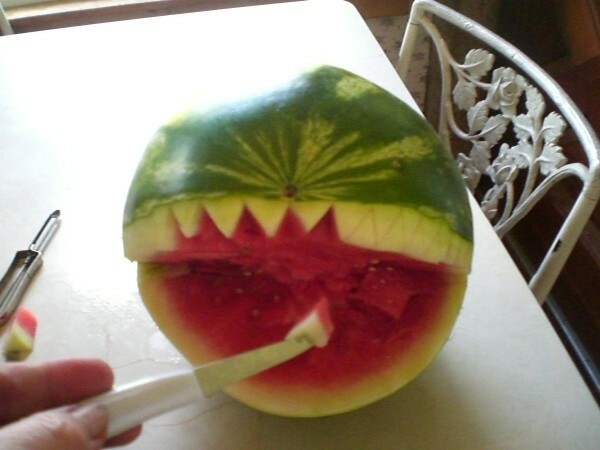 Cut a zig-zag design in the skinned, carved opening with a small paring knife for teeth. Scoop out the watermelon 'inners' and save for the fruit salad. This is a view from the back. 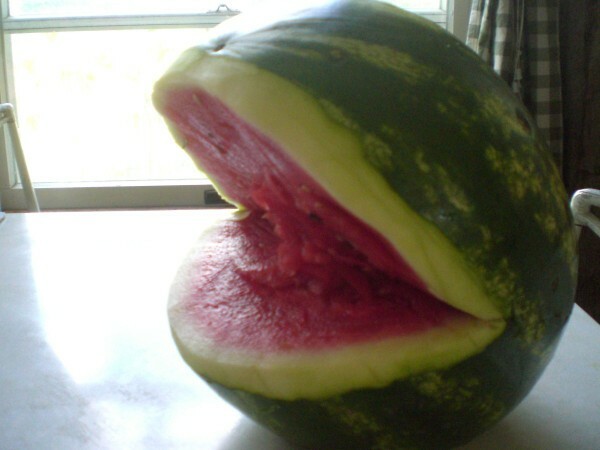 Mix watermelon fruit with your favorite fruit and place it back in the shark's mouth. 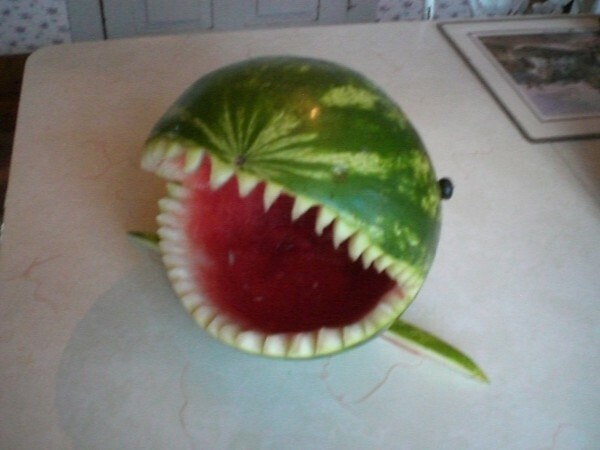 Add a few gummy fish to the mix, just for fun! 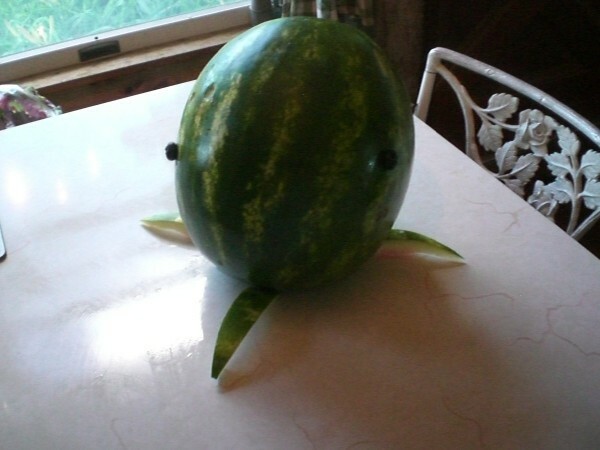 This shark watermelon is a cute way to serve fruit at your next party. Check out this video and learn how to make one.